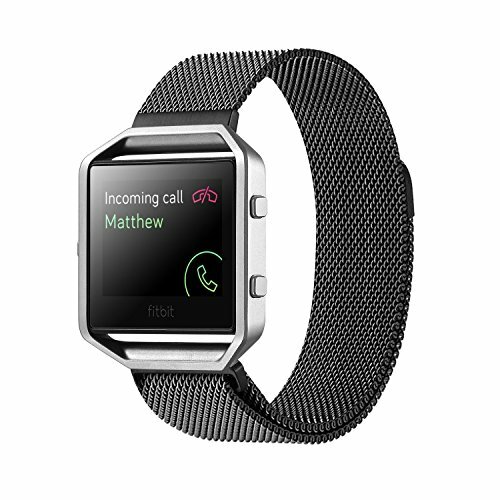 Fitbit Blaze Accessory Band Large (6.7-8.1 in),Vitech Milanese loop stailess steel Bracelet Strap for Fitbit Blaze Smart Fitness Watch, Black, Silver, Large with unique Magnet lock (Black) by ViTech at Kode Fu Guru. MPN: 4327049867. Hurry! Limited time offer. Offer valid only while supplies last. If you have any questions about this product by ViTech, contact us by completing and submitting the form below. If you are looking for a specif part number, please include it with your message.